The seed for Families Forward was planted in 1961, when Mara Moser reached out to a handful of Northwest Pasadena’s loneliest and most overwhelmed moms to start a “Mothers’ Club” where they could find friendship and social support. By the following year, this tightknit group had recruited the head teacher from Pacific Oaks Children’s School, Taka Nomura, to help them establish a developmentally appropriate early childhood program. Her guiding principle – to provide a safe and nurturing environment that promotes the physical, social, emotional, and cognitive development of young children while responding to the needs of their families – endures to this day. A subsequent partnership with Pasadena City College’s parent education department helped further the goal of meeting the mothers’ needs by promoting healthy development in their children, confidence in themselves, and early childhood learning at home. 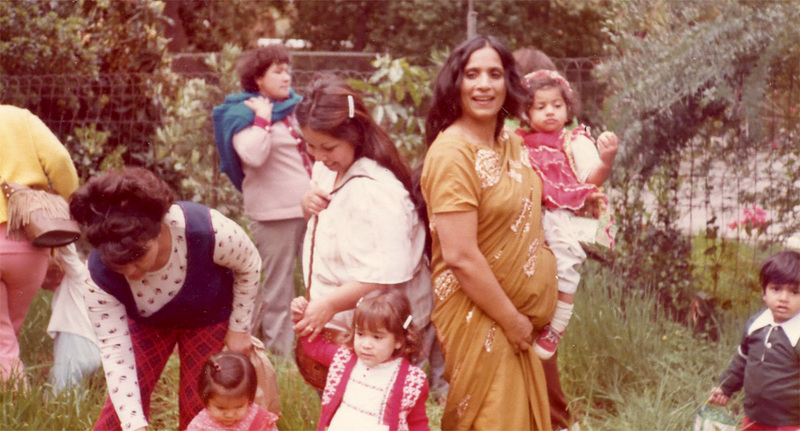 The co-op nursery school was established in 1970 with moms from different socio-economic backgrounds coming together to assist in the children’s classrooms, participate in parenting classes, and join in social activities. These parent-engagement practices, grounded in the deeply held belief that everyone has something to learn and something to offer, can have an enormous impact on children. During the 1990s, poverty and illiteracy levels increased dramatically in Northwest Pasadena, reflecting a rapid influx of immigrants with limited education into the community. In order to meet the needs of the ever-changing population, and with an awareness that a parent’s education level is one of the best predictors of a child’s future academic success, Adult Education and English as a Second Language was added to the program. A highly successful capital campaign in 2007 funded the purchase and renovation of a new permanent home – the Mary Lois & Richard Nevins Family Learning Center. All programs now take place on-site in a state-of-the-art, sustainable facility in Northwest Pasadena. The new building has allowed for an expansion of services to reach more at-risk families each day. children side-by-side has become a recognized model.